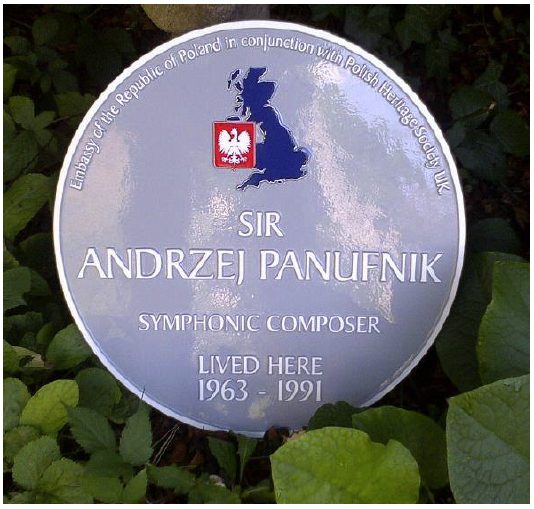 Born in Warsaw on 24th September 1914, Sir Andrzej Panufnik was already composing at the age of 9. He graduated from the Warsaw Conservatoire with Distinction in composition and conducting. He continued his studies under Felix Weingartner at the Vienna Academy and then went on to study with Philippe Gaubert in Paris. With the outbreak of the WWII he returned to Warsaw. During the Nazi occupation, he conducted illegal concerts and composed patriotic resistance songs. During this time he lost every piece of music he had composed to the fire during the 1944 Warsaw Uprising. As the most talented young Polish composer and conductor of that epoch, after 5 years of Nazi occupation with virtually no permitted concerts, he felt it vital to restore musical life to the music- starved Polish people, so that he put aside his wish to compose in order to get the two main orchestras back into action. He was appointed a Chief Conductor of the Krakow Philharmonic Orchestra and then moved to the Warsaw Philharmonic. During the early post war years, his highly original compositions led to him being recognised later as the ‘father’ of the Polish ‘avantgarde’. After 1948, throughout the years of Soviet imposed Communism, he was under pressure to compose according to the dictates of socialist realism; however virtually everything he composed post war was condemned as "decadent, not fit for the great socialist era". He was cornered into composing only 4 mass songs, compared with Lutosławski who wrote 12, and most other composers who wrote dozens. In 1949 he was elected President of the Music Council of UNESCO, though the Polish authorities did not allow him to attend any of the UNESCO events. In 1954 he escaped from Poland not only due to the intolerable pressure he was under but also as a very public protest against communist rule and specifically against the political interference with the work of creative artists. This resulted in 23 years of censorship of his name and music in Poland. 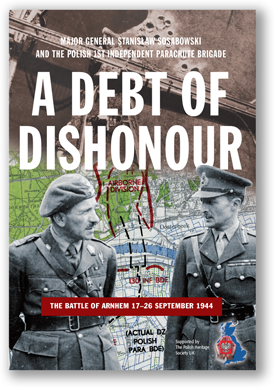 He remained determined not to break his outspoken resistance until democracy was restored to Poland. In 1959 he was the Chief Conductor of the City of Birmingham Symphony Orchestra. 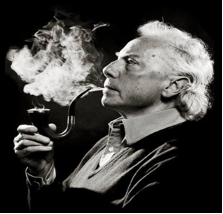 In 1963 he won the Monaco Composition Prize for his Sinfonia Sacra. That same year he married photographer Camilla Jessel and they settled in Riverside House, Twickenham, where at last he had the time, the peace and freedom to compose as he wished. His daughter, Roxanna, is also a classical composer and his son, Jem a graphic artist. His musical life in exile included performances at the BBC Proms, three commissions from the LSO, further important commissions from the Royal Philharmonic Society , from the famous Chicago and Boston Orchestras and from leading performers such as Lord Yehudi Menuhin, Sir Georg Solti and Mstislav Rostropovich. Leopold Stokowski premiered many of his works in the USA. Marek Rencki, designer of the official PHS Plaque.Much to his delight his music was performed at the Warsaw Autumn Festival in 1977 after being banned for 23 years, but he refused many attempts to persuade him to go to Poland that year and the two subsequent years just prior to Martial Law, when yet again, his name and music was banned. This ban remained during the Solidarity period. He wrote many anti-communist works during his exile, including Sinfonia Sacra written in honour of the 1966 Millennium Polish Christianity and Statehood; Katyń Epitaph; Sinfonia Votiva (commissioned by the famous Boston Symphony Orchestra and dedicated to the Black Madonna of Częstochowa, the symbol of Solidarity); The Bassoon Concerto dedicated to the memory of Father Popiełuszko, and many other works connected to Poland. It was not until 1990 with the fall of communism in Poland that he returned to Poland to perform eleven of his works at the Warsaw Autumn Festival. He received a knighthood for his services to British Music in January 1991. Sadly, this was also the year of his death. He also received a posthumous Order of Polonia Restituta from President Lech Walesa in Poland. His wife Lady Camilla Panufnik continues to bring his work to the attention of a new generation of music lovers. Letter of appreciation and thanks from Camilla Panufnik to Marek Rencki, Director PHS. Thank you so very much for all your very hard work in the planning and making possible the beautiful plaque in memory of my husband. It looks perfectly wonderful, elegant and I am proud that it is seen by all passers by along our little road to the park. You were absolutely wonderful in all that you did to make this memorial possible, and I hugely appreciate just what hard work it was. Thank you very, very much for all the tough background work, the thinking and planning without which this would never have happened. 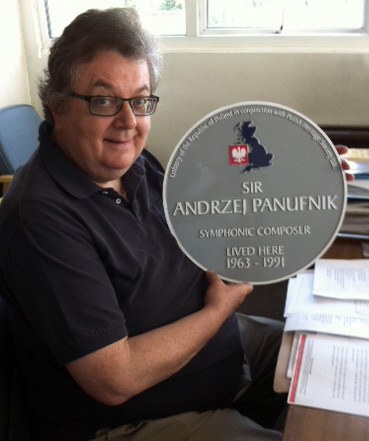 The plaque looks really magnificent in place and I am sure Andrzej would have been delighted that this has been achieved in his name. Both Marek Sawicki and you took unbelievable amounts of trouble to achieve this fine result. I am so very grateful. Everyone who came this week for the unveiling was moved and delighted. It was a most touching ceremony. I do so much appreciate your practical and determined way of helping to make things happen. With all my deepest appreciation and thanks.